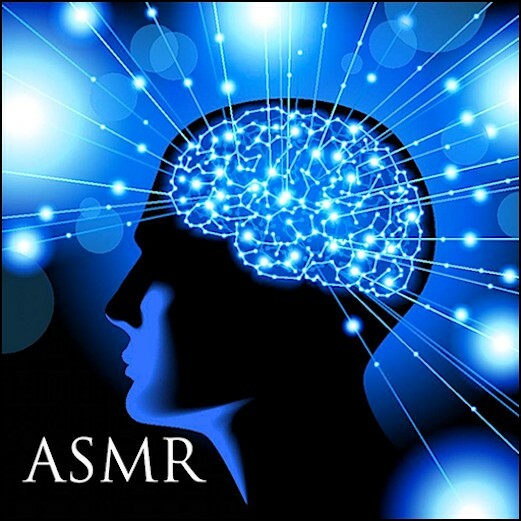 Home » Blog » Can Autonomous Sensory Meridian Response (ASMR) Help with Sleep? Can Autonomous Sensory Meridian Response (ASMR) Help with Sleep? Over the summer, I read an article about ASMR or autonomous sensory meridian response. Despite its somewhat clunky moniker, ASMR has become a huge hit among a growing subculture of users on YouTube and Reddit where they watch, share and discuss videos of people talking in soft consonants, folding towels, tapping on hairbrushes, and other mundane activities. The phenomenon apparently first took off with online discussion groups, when people began to confess and explore the feelings they were experiencing when subjected to certain everyday noises. Many may find the videos bizarre, creepy, or simply boring. But some claim the videos trigger mysterious tingly sensations that relax the viewer, even to the point of sleep. One video, posted by a woman who goes by the name of Maria on the YouTube channel GentleWhispering, has astonishingly garnered nearly seven million views. Can the sounds of softly rustling newspaper and keypad clicking really create tingly sensations? “It feels like my brain, spirit & soul is being massaged,” one YouTube user recently commented. ASMR, which has received wide media attention from such mainstream outlets as Time Magazine, HuffingtonPost, Slate and the New York Times, comes in several languages and also features role play where video subjects pretend to be interacting with the viewer as hair stylists, suit fitters, and even insurance agents. Some videos even use binaural or 3D recording, a method that uses two microphones to create the sensation of a genuine, in-person setting. There doesn’t seem to be any scientific explanation for ASMR, but that doesn’t matter to its dedicated followers, many who swear by it as a sleep aid. If you’d like to see if ASMR works for you, consider skipping that next insurance seminar and give ASMR a try! And for those who’ve tried ASMR, what do you think? Join the conversation at www.sleeprate.com/blog or follow @SleepRate on Twitter. We’ve also developed tools to make it easier and more affordable than ever to train yourself to get a good night’s sleep. If you want to sleep better and more efficiently, pay us a visit at sleeprate.com.